Q6. How many transactions can be received by a single beneficiary in a calendar year of International Money Transfer process in the Post Office Saving schemes? Sol. Amounts up to INR. 50,000/- may be paid to the beneficiary in cash. Any amount exceeding this limit shall be paid by means of account payee Cheque or credited directly to the Savings Account standing in the Post Office in the name of the beneficiary. However, in case of foreign tourists, higher amounts can be payable in cash. Only 30 transactions can be received by a single beneficiary in a calendar year of International Money Transfer process in the Post Office Saving schemes. Q7. How much amounts may be paid to the beneficiary in cash of International Money Transfer process in the Post Office Saving schemes? Sol. Amounts up to INR. 50,000/- may be paid to the beneficiary in cash. Any amount exceeding this limit shall be paid by means of account payee Cheque or credited directly to the Savings Account standing in the Post Office in the name of the beneficiary. However, in case of foreign tourists, higher amounts can be payable in cash. Only 30 transactions can be received by a single beneficiary in a calendar year oof International Money Transfer process in the Post Office Saving schemes. Sol. Pradhan Mantri Jeevan Jyoti Bima Yojna (PMJJBY), Pradhan Mantri Suraksha Bima Yojna (PMSBY) and Atal Pension Yojna(APY) is a Jansuraksha Scheme. Q9. ___________ is a one year cover Term Life Insurance Scheme, renewable from year to year, offering life insurance cover for death due to any reason. Sol. Pradhan Mantri Jeevan Jyoti Bima Yojna (PMJJBY) is a one year cover Term Life Insurance Scheme, renewable from year to year, offering life insurance cover for death due to any reason. Q10. The Government of India has introduced a pension scheme called the APY, with effect from ____________ pursuant to the announcement in the budget for 2015-16 on creating a universal social security system for all Indians, especially the poor, the under-privileged and the workers in the unorganised sector. (APY), with effect from 1st June, 2015, pursuant to the announcement in the budget for 2015-16 on creating a universal social security system for all Indians, especially the poor, the under-privileged and the workers in the unorganised sector. APY is being administered by the Pension Fund Regulatory and Development Authority (PFRDA) under the overall administrative and institutional architecture of the National Pension System (NPS). Q11. What is the meaning of "APY" in Banking industry? Sol. The Government of India has introduced a pension scheme called the Atal Pension Yojana (APY), with effect from 1st June 2015. Q12. APY is open to all citizens of India who have a savings bank account. The minimum age of joining APY is ____ years and maximum age is _____ years. Sol. APY is open to all citizens of India who have a savings bank account. The minimum age of joining APY is 18 years and maximum age is 40 years. Q13. __________ is a one year cover, renewable from year to year, Accident Insurance Scheme offering accidental death and disability cover for death or disability on account of an accident. Sol. Pradhan Mantri Suraksha Bima Yojna (PMSBY) is a one year cover, renewable from year to year, Accident Insurance Scheme offering accidental death and disability cover for death or disability on account of an accident. The scheme would be offered / administered through Public Sector General Insurance Companies (PSGICs) and other General Insurance companies willing to offer the product on similar terms with necessary approvals and tie up with Banks for this purpose. Participating banks will be free to engage any such insurance company for implementing the scheme for their subscribers. Q14. PMSBY is open to all citizens of India who have a savings bank account. The minimum age of joining PMSBY is ____ years and maximum age is _____ years. Sol. All savings bank account holders in the age 18 to 70 years in participating banks will be entitled to join. 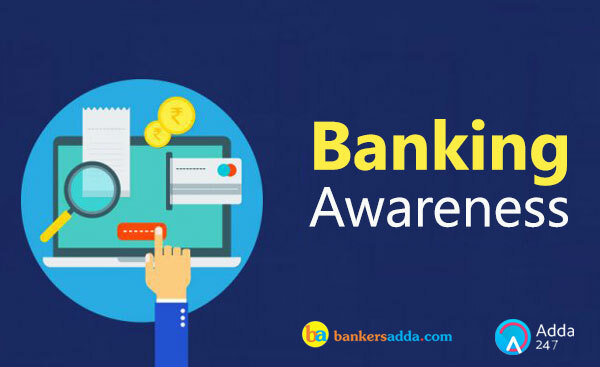 In case of multiple saving bank accounts held by an individual in one or different banks, the person would be eligible to join the Pradhan Mantri Suraksha Bima Yojna (PMSBY) scheme through one savings bank account only. Aadhar would be the primary KYC for the bank account. Q15. What is the meaning of "B" in PMJJBY? Sol. PMJJBY stands for Pradhan Mantri Jeevan Jyoti Bima Yojna.